Even cats need to learn lessons in life - we have two cats and neither of them has gotten this one quite right just yet. We have one who comes for short visits involving being patted briefly and on her terms - then a quick exit back into her own space, and the other who gets patted but the more pats she gets the more pats she wants - it's more, and more, and more until we are so over it all, we send her on her way posthaste. I think there is a fine line somewhere between these two extremes. Nobody wants to be used up and then discarded once affection has been given, and nobody wants to be loved to death and suffocated by affection (well nobody I know anyway). Life is all about balance - holding on and letting go - giving and receiving love, but not constantly draining others because we haven't developed enough self esteem to be able to manage life on our own without constant affirmations. 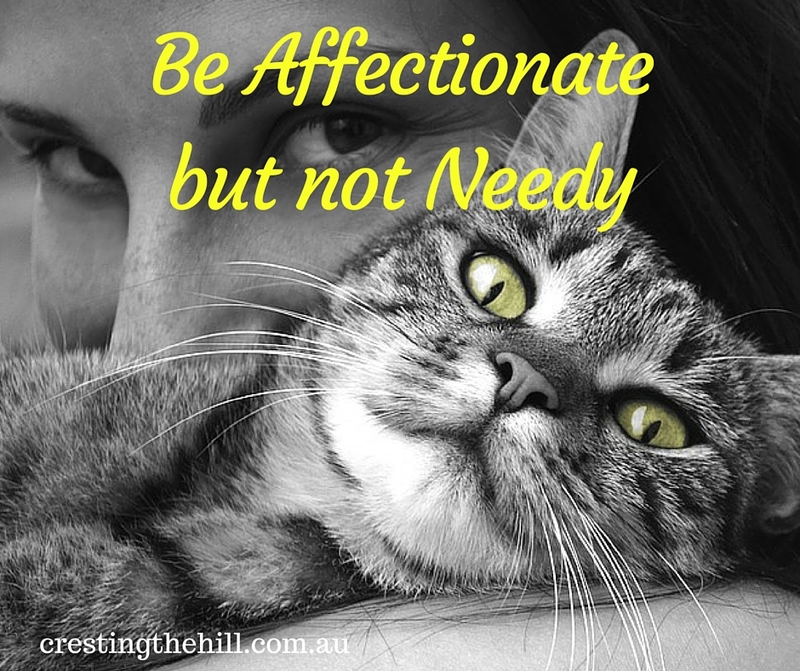 We all have moments in our lives where we need extra affection or attention, but if it becomes our "norm" then we really need to take a long look at ourselves and find out what is wrong. The perfect cat comes and sits on your lap in a warm ball, accepts a stroke or two and purrs to acknowledge the relationship. This is the life lesson we need to take from our feline friends - show love, receive love, but have enough autonomy and self respect to not depend on another person to have to constantly pat you and give you attention. I love this Leanne, not only because we have 3 cats and I totally understand what you're saying (!!!!) but also because it's all so true. And timely. And right. Wonderful, thought-provoking post to begin my day! Cats are their own... "people," if you know what I mean. They have a great sense of who they are, and that's something we humans can appreciate! I think knowing who we are and understanding our own value goes a long way towards reducing neediness doesn't it Carol? I can definitely relate to Cat Number One. Love me and then leave me alone. Luckily, the man in my life is fine with this. (And at least I'm not needy.) And, come to think of it, my cat (Louisa, now deceased but a beloved companion for 18 wonderful years) was just like this too! Somebody needs to write an essay about the ways that people resemble their cats. Once again your cat spoke to me today. 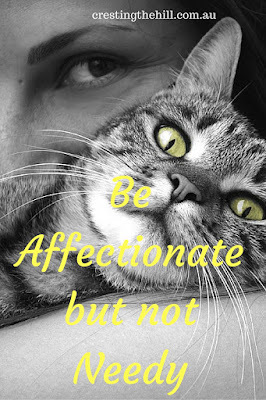 I love that quote...affectionate, but not needy...like that! It's a lesson I've had to learn Michelle because nobody likes having a needy person continually requiring nurturing - as adults we really need to learn to take this responsibility on ourselves and not leave it to others. I am not a cat person but they do have lessons to teach us for sure, I think I relate more to your first cat, living in my own bubble only to emerge every once in a while for human interaction. Nothing like a pat when you need it Rena - and I think it's completely healthy to also need time to yourself (especially in your case where you have so many demands on your time). That's so true. Balance is important. But try telling a cat that. Or a dog for that matter. So true! And the key to relationships and happiness. Certainly it was in my case Linda - expecting my husband to meet every need was not really feasible! We all definitely have our needy times. But you are so right. We need to like ourselves and believe in ourselves without the prop of someone holding us up! You said it in a nutshell Diane - if we need propping up all the time there is something not balanced in our own lives. What makes cats so fascinating is their independence. Unlike dogs, they don't need us to exist. And that's a lot of their charm. Who can resist such an independent creature? This is so great! I love all the life lessons from your cats, probably because I have 2 as well and can relate! Needy people and needy pets can be so draining. I really wish I wasn't allergic to cats, I love them! Well I don't have a cat Leanne but it seems we can certainly learn from them. Being needy is all about self-confidence and I suppose I was needy in my younger years if I'm to be honest. Never feeling good enough and needing reassurance. Life has taught me how to be more confident in myself. Being needy can be just as draining as having to put up with a needy person. Loving the posts! What a brilliant post. You had me with the title! Great to see you! I don't have a cat. I grew up allergic. I have dogs. They are affectionate but not needy. Hi Janice - lovely to have you visit and you are doing well to have dogs that aren't needy. Our dog (who passed away a year or so ago) was the most needy canine on the planet - he just loved to be loved! Ahh, cats, like humans, are funny creatures. Sometimes you just don't know where you stand with them. I think you are right about finding the balance. No one like to feel like they've been taken for granted. I think there is definitely a balance Sally between neediness and ignorance - having enough self-esteem to be strong in yourself means that you are more likely to get the balance right. What a great way to teach us all the lesson of learning to stand on our own, at least some of the time. You are so right, I don't want to be the needy feline that needs all the attention, all the time. LOL Or stay on my own for longer than I should. A cat was the perfect animal to use for this analogy, I think we've all known one of each kind! It's getting the balance right that's so important Nikki - giving and receiving love in a healthy way without becoming co-dependent or cut off. I think we all have an element of neediness in us Mary Lou - it's just a matter of remembering our own worth rather than needing others to give it to us. I love the quote. Women empowerment! 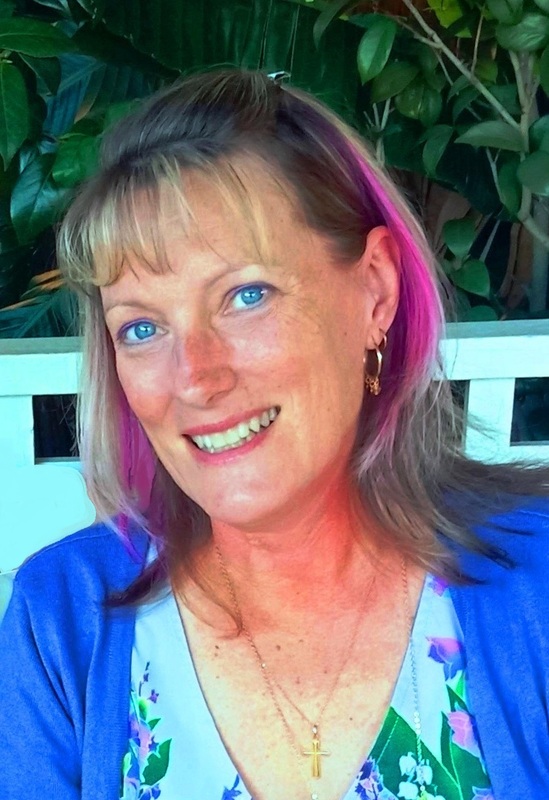 Thanks for bringing your post to the Blogger's Pit Stop on Thursday. I loved it too Janice - it sums things up for where I'm at in my life now days. Very good analogy. My cat is definitely like cat number 1! Probably so am I! Not needing too much attention isn't a bad thing - it's certainly a lot less taxing than being with people who constantly need affirmation!